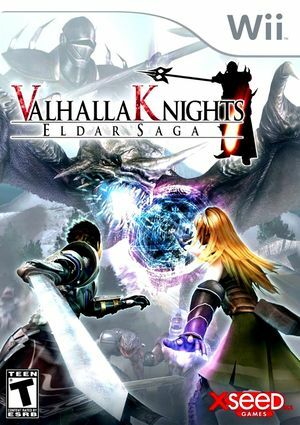 In Valhalla Knights: Eldar Saga (ヴァルハラナイツ エルダールサーガ), known in Europe as Eldar Saga, the lands of Eldar have long been known as the origin of chaos, a place where monsters and demons wreak havoc, indiscriminate in their madness. Legend tells of how the Spirit King, whose coming was heralded in by a meteor shower, gained control of the creatures and waged an unrelenting war upon civilization. Order and life were brought to the brink of destruction, but an alliance of the four races was able to drive them back and seal the evil. Centuries more have passed and once again the lands are slowly being overrun by the reemerging monsters. Without a known cause or even a united front to repel them, it would seem that this time, Eldar will fall. It is up to you to take up the forgotten mantle of the hero, reunite the races, confront the hordes of monsters and restore peace to the land. In game saves may be broken. The graph below charts the compatibility with Valhalla Knights: Eldar Saga since Dolphin's 2.0 release, listing revisions only where a compatibility change occurred.